Welcome to t&s. We are an integrated creative communications agency born in Bristol, with a diverse range of clients throughout the UK. From traditional advertising platforms to innovative digital media engagement, we create multi-channel communications that not only stand out, but get results. Whether your business is just taking off or you need to spread your wings to reach new and unexplored audiences, t&s create ideas that land in the right places at the right time. In a congested marketplace, just blasting your horn rarely gets you very far. If your marketing isn’t attracting the attention you want, t&s will create your perfect volume and pitch. Most importantly, we’ll get you results. Campaign success is the sign of a good agency. Shouting from the rooftops about how great you are is one thing, but it’s our results that have ultimately built a strong business with such great clients. If your communications aren’t keeping you ahead of the Joneses, it’s time to move. Welcome to t&s. We are an integrated creative communications agency born in Bristol, with a diverse range of clients throughout the UK. From traditional advertising platforms to innovative digital media engagement, we create multi-channel communications that not only stands out but get results. Traditional advertising channels may not be quite as topical as the latest digital platforms, but ignore them at your peril. The majority of your enquiries may very well come via your website, but the journey to your site is a whole different matter and one which the so called 'old skool’ media can, and does, still play an integral part of the communication mix. Understanding what sets our clients apart from the competition, is what sets us apart. From logo creation and company stationery to brand strategy and fully integrated identity collateral, we get right under the skin of our clients to help develop brands of value and distinction. Thinking creatively is at the heart of everything we do. Whether you’re developing a new brand identity from scratch, or need a hard-hitting sales campaign, or simply want a sharp new company brochure; our award-winning creative team will always find that clever execution to give you the competitive edge. Concerned that you’re not maximising your online opportunities? Or just bamboozled by the jargon that surrounds the latest web trends? Whatever stage you are at with your digital strategy, t&s will ensure that you’ve got your finger on the right pulse. From website design to social media and everything in between, we deliver campaigns to engage your audience with meaningful and measurable communications. Traditional advertising channels may not be quite as topical as the latest digital platforms, but ignore them at your peril. The majority of your enquiries may very well come via your website, but the journey to your site is a whole different matter and one which the so called 'old skool’ media can, and does, still play an integral part of the communication mix. Understanding what sets our clients apart from the competition, is what sets us apart. From logo creation and company stationery to brand strategy and fully integrated identity collateral, we get right under the skin of our clients to help develop brands of value and distinction. Thinking creatively is at the heart of everything we do. Whether you’re developing a new brand identity from scratch, or need a hard-hitting sales campaign, or simply want a sharp new company brochure; our award-winning creative team will always find that clever execution to give you the competitive edge. Concerned that you’re not maximising your online opportunities? Or just bamboozled by the jargon that surrounds the latest web trends? Whatever stage you are at with your digital strategy, t&s will ensure that you’ve got your finger on the right pulse. From website design to social media and everything in between, we deliver campaigns to engage your audience with meaningful and measurable communications. The art of balancing a prestige brand with value for money, for Cooper Group’s 14 BMW dealerships. Increasing retail revenue and filling more flights, campaigns that take-off for Bristol Airport. Campaigns with more pulling power. Matching the right publicans to the right business for Enterprise’s 5,000+ pubs. Creating THE destination of choice for Further and Higher Education students. Changing outlooks and inspiring futures for Weston College. Increasing footfall, stimulating sales and exceeding targets for the Inchcape Retail Group. When campaigns need to be heard above the noise. 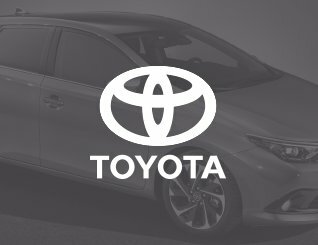 Increasing sales volume for Inchcape Toyota nationwide dealer group. Finding tenants, switching landlords and sell, sell, selling for Martin & Co national sales and letting agency group. We’ve never had so much fun with a brand. The serious business of creating effective sales campaigns for Cooper Group’s 15 MINI dealerships. A sensitive approach to communications. Recruiting the right people to join Somerset Care’s 31 residential and nursing care homes across the South of England. It’s never just a job. Inspiring the best Paramedics to South Western Ambulance Service Foundation Trust. Attracting new students from where you least expect for UHOVI (University of the Heads of the Valleys Institute). Taking mobile marketing quite literally. Keeping sales moving for Webbs Caravan and Motorhome retail centres. 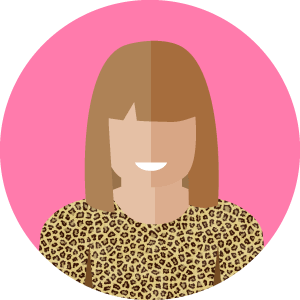 With ten years’ experience as Client Services Director, Emma has a natural passion for developing both existing and new business. Her team management skills and desire to do things properly, ensure that t&s not only look after their current clients, but that they make the most of every potential new business opportunity – a mind-set that has helped t&s quadruple in size since its launch in 2011. 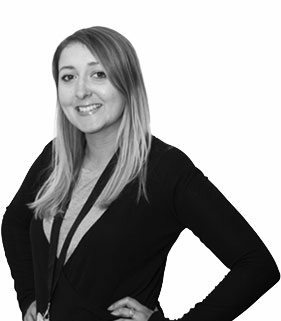 Working for nearly ten years within local media, mainly within the automotive sector, Emma left to take her first agency role at Euro RSCG Riley Bristol, where she worked on a mixture of education recruitment and automotive clients. In 2011, Emma became one of the founding Directors of t&s and in her role of Client Services Director, she brings her vast experience in all areas of the advertising communications mix, helping clients not only meet, but exceed their marketing objectives. Love clients, lead staff, oversee client campaigns and generally make sure that everything is being done as it should. If clients are happy, I am happy. I hold the world record for spinning plates. And all done with a smile on my face and song in my heart. Sitting in my room listening to A-ha. Swimming. Dreaming of meeting Morton Harket at the municipal baths. After earning his considerable stripes with a number of specialist agencies, including a 4 year stint as Divisional Creative Divisional with EuroRSCG Riley, Ryan decided that the traditional agency life would ultimately stand in the way of his creative instincts. In 2004, Ryan joined two other Directors at the inception of Sedgley Belbin Wright, taking responsibility for the agency’s creative direction. Then in 2011, Ryan really spread his wings and became one of the founding Directors of t&s. As Creative Director, his passion and hands-on approach ensures that the agency’s creative work is as effective as it is striking. Try to find inspiration for clients, in me and from the team. Making sure a great idea (whomever’s it is) fulfils its potential. *Daydreaming, doodling, eating, drinking, films, dealing in vintage American comics, his pets, the garden, bed, alcohol, friends, cars, Apple products, the internet, colouring in and Scarlett Johansen (Ryan had to take out an injunction). After a 40 year career as an Accountant working in the retail sector for companies like WHSmith, Texas Homecare, Jewsons and finally, 16 years as Business Management and Franchising Manager for Renault UK Ltd., Brian ‘technically’ retired from full-time work in May 2008. However, within only a few months, he already felt the need for some stimulation in the form of the new challenge of streamlining and enhancing the financial management of Sedgley Belbin Wright, who he joined as Finance Director in November 2008. In 2011, Brian became one of the founding members of t&s. Brian’s wealth of financial experience and knowledge of the advertising and marketing, has proved invaluable, both during the company's inception and within the smooth running of the day-to-day finance function as t&s continues to expand. I budget, forecast, chase, pay and count the money. I make sure that EVERYTHING adds up to the last penny. And if it doesn’t, I create merry hell! Unfortunately, when we asked Brian this question, he had just taken off to explore another distant land. Which pretty much answers the question. Darren started his digital life as a 4GL Green Screen Developer in the exciting worlds of tantalum capacitors and container shipping (your guess is as good as ours). When he was finally let out of the coding basement into the bright modern sunshine of the web, his skills led him to run development teams, managing some of the world’s busiest travel and luxury websites (South West Trains, East Midlands Trains, East Coast Mainline, SuperSeaCat, Orient Express Hotels & Luxury Avenue Shopping Mall). By the time Darren headed a digital department in Contract Publishing, his all-round skills meant he could apply his hand to pretty much everything from Accountancy to Zoos. Early in 2014, t&s went in search of a new digital guru to lead their ever-growing online offer. The job description listed a broad experience of apps, digital issues, websites, social media, advertising, competitions, email campaigns and content strategy. It was a wish list written in more hope than expectation, but in Darren t&s got the lot. I’ll be working on ten things at once. Pitching at 9, writing specs at 10, coding at 11, Facebook campaigns at 12, sampling the best that Friska has to offer at lunch, then production at 2, buying overpriced coffee at 3, briefing at 4 and planning at 5. Defining solutions to a problem, and being able to explain that solution to developers in granular detail and clients in broad strokes. My passions outside of work? Torquay United, swimming vast distances outdoors, going to gigs and attempting insanely complex recipes. Making the impossible, possible - our very own Studio Superhero. John studied Graphic Design at North Devon College. He cut his teeth at a national comms agency based in Barnstaple, where he started as a Junior Designer and worked his way up to Team Leader. After relocating to Bristol in 2005, he joined Sedgley Belbin Wright as a Senior Designer, where his creative and organisational skills soon elevated him to Studio Manager. Joining t&s from it's beginning in 2011, John brought with him his impressive creative credentials and plays a key role in both the conceptualising and delivery of the agency’s campaign projects. My current role at t&s gives me the opportunity to enjoy the benefits of being a Senior Designer whilst taking on the responsibility of Studio Head. As a full service agency, a variety of projects keep me on my toes - I schedule all the creative work coming into studio and ensure it's good enough to leave. I oversee the work of our Production Team, and ensure that high volume, quick turnaround jobs are of a high standard and that our systems and processes are maintained and adhered to. I also work alongside the Creative Director on the majority of projects, from the highs of the full advertising campaigns, branding work, and new business pitches, down to the nitty gritty of the 10x2 recruitment ads, prospectus typesetting, or rolling my sleeves up and getting stuck into a PowerPoint document! Whether it’s creating a brand, or getting the best from brand guidelines, planning in a fortnight’s work for a busy studio, whilst working on tomorrow’s pitch, and pushing through that curve ball of a late rush ad, you will always find the same accurate, and efficient attention to detail. What are you asked to do the most? Spend our time wisely. Bend, juggle or shuffle it, but most importantly, ensure it’s never wasted, and that the studio is delivering the bests results for our clients. Ensure we get briefs in correctly, that the account handling team know when they’re getting them back, and that it’s all artworked perfectly for them. Aside from t&s, my time is still in demand, but the MAC gets replaced by crayons, and the scheduling meetings take on the format of tea parties at the request of my three year old daughter! Has a demanding 3-year-old daughter! Following graduation from her International Marketing and Communications Masters in 2009, Claire gained a solid client services grounding in the role of Account Executive for a London PR and Marketing Agency, working on B2B and consumer accounts for prestigious communication clients including Vodafone and Qualcomm. Relocating to Bristol in 2011, Claire broadened her creative communications skills further, joining a digital agency as an Account Manager responsible for delivering online products, marketing collateral and websites for over 140 Law Firms. 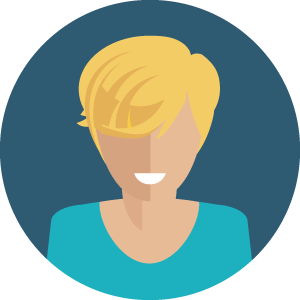 It was Claire’s unnerving ability to effectively juggle a multitude of projects that caught the eye of t&s when recruiting for a new world beating Account Manager in December 2012. They knew she had the ingredients to be a great team leader, but they had no idea how quickly and easily she would take up the mantle. Claire’s calm, precision and ‘make it happen’ philosophy is highly valued by both clients and her team. On a typical day, I manage the day-to-day running of our client accounts – with the help of my fantastic team, this could be anything from new creative briefs, event management, project management, client liaison to overall marketing strategy. I also head up the t&s Account Handling team who work as my account support. Making colleagues laugh – intentionally and non-intentionally. On a more serious note, most people would say organisation, hence the nickname ‘The Worganiser’. I like to think I am also a smile at the end of the phone and will help our clients wherever I can.I like the adrenaline of the day-to-day workload and also enjoy the creative briefing process and the pleasure of seeing a happy client at the end of a project (and hopefully during!). I’m a crafty person (no, I don’t mean plotting evil plans) I like to make things and create and try different crafts. I also love music – I was once on my way to being a professional pianist but the wind changed course and here I am! I work closely with the rest of the Digital Team and most of my day is spent managing and creating content for websites, which can range from a specific section to entirely new web pages. 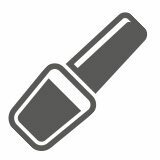 I’ll also be getting involved in some email campaign creations and social media management, while looking into PPC advertising too. I have an eye for detail and can be a bit of a perfectionist. I always try to go above and beyond the expectations, and enjoy working on website page layouts and the creation of email campaigns. I’d like to think of myself as quite creative and always try to keep the customer in mind, as well as the client, to create the best possible outcome. I try to keep in touch with my artistic side, but also love to chill out and watch TV series and films. I always enjoy going out for food; one of my favourites has to be TGI Fridays! There might be a better way to do it! At heart, Chris is a Designer first, Developer second. He's passionate about design, which he believes is a combination of good aesthetics and intuitive functionality. In order to understand this more, he has self-taught certain aspects of front and back-end development, to help improve his all round game and deliver a more satisfying end-user experience. 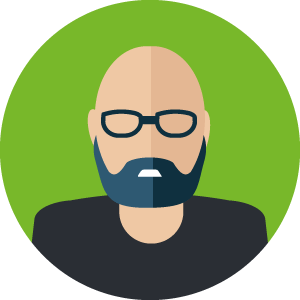 Having spent the last 15 years gaining invaluable experience and know-how working on a multitude of web projects in agencies and as an accomplished freelancer, Chris is a rare breed who thrives in getting to grips with all facets of a web projects. It’s this desire to tackle projects more efficiently, that has resulted in a tried and trusted web expert and is what ultimately led Chris to the t&s door in 2014. 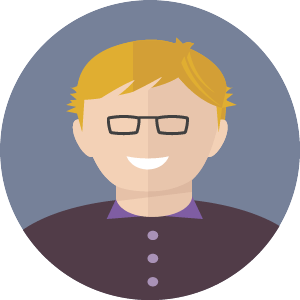 As our very own Web Designer and Developer, Chris is responsible for turning a client’s web ideals into a working reality and resounding success. My typical working day at t&s involves a wide variety of task spanning, from designing promotional banners and building back and front-end functionality for websites, to designing and building email marketing campaigns. The speed of turnaround largely depends on how many cups of coffee I have. My passion lies with good functional design and that’s something I aim for in all my work. I would say that this has influenced my skills in front-end development, more so than anything else, but I enjoy nothing more than creating a brand new design whether it’s for web or print. Outside of work, my time is dedicated to staying healthy by training every evening and trying to ‘eat clean’ to aid my performance. At the weekend, I usually break free from this regime and get stuck in to a calorific burger and a few pints with my mates. Lydia is an apprenticeship superstar. 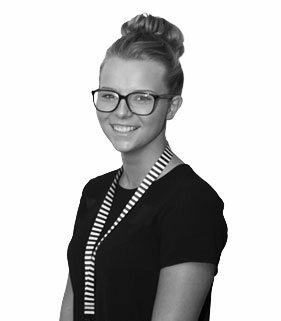 Being recently nominated as Apprentice of The Year at the 2018 Bristol and Bath Apprenticeship Awards, Lydia has now passed her Business Administration Level 3, (whilst working full-time at t&s), and helps manage multiple accounts across the agency as our Account Co-Ordinator. On a day-to-day basis, I provide help to the account handling team, working on multiple accounts with all aspects of account handling such as proofreading, checking and creating new briefs and making sure that everything runs smoothly for the client. Chatting! Once I get to know you, I will chat forever! I also think I am a good listener, who is very organised – everything always has to be neat and tidy - great stationery also helps! Chilling out, sleeping or watching TV. I love to just chill, but I also love a trip away to the Alps. In my world, there is nothing better than being at the top of a snowy mountain in the winter months, with a pair of skis on my feet! In the summer, however, there has to be a trip abroad with plenty of time spent on the beach. I just love holidays! I’m also great at online shopping and always end up on my phone ordering anything from clothes to shoes... and bags. Well, anything really! Brace yourself... she’s after your business! Like so many before, Sam’s journey into the world of marketing is rich in variety. Starting at Hjellegjerde (a Norwegian furniture company), Sam spent four valuable years getting under the skin of retail, experiencing everything from in-store marketing to customer services. Ever eager to broaden her horizons, Sam managed some serious juggling with her work-life balance to take a Business Studies with Marketing degree at UWE, and duly graduated with a 2:1. If that wasn’t enough, Sam won the ‘Futures Award’ and held the post of PAL (Peer Assisted Learning) Leader and Student Ambassador, responsible for developing and promoting the University’s new learning centre. And as a breather in the Summer break, it was off to Florida to gain yet more experience, working for a little Mickey Mouse company – helping to bring the magic to expectant diners at Walt Disney World. But exploring new opportunities didn’t stop in the Magic Kingdom. During her final-year research studies at university, Sam identified an opportunity for an online lifestyle magazine, and in typical Sam fashion, ‘Anything Goes’ lifestyle magazine was born – it still thrives today under her stewardship! Of course, any new venture takes time to grow, and the ever-resourceful Sam was funding her vision (and keeping food on the table) with a second job being the top advertising sales person for Mum’s Diary Magazine. No surprise then that when Sam came to the attention of t&s, this was exactly the drive and ‘I’ll find a way’ attitude we required in our Business Development team. Sam now leads our new business prospecting with the same gusto that she has applied throughout her working life. Great news for us, but watch out those prospects who aren’t interested in what she has to say. I manage the prospect database – adding information established in contact, creating new client profiles and improving its functionality. I also research prospective clients and the ways in which t&s can further an organisation’s goals and aspirations. Not forgetting, liaising with potential clients to ensure our information is as up-to-date as it can be, scheduling meetings with prospective clients and generally making myself available to help with their needs. What do you do best? I’m all about communication. I like to build a good rapport with people I speak to, and enjoy identifying new and mutually beneficial opportunities. But it’s all nothing without great organisation! Our Digital Producer with a difference. Sarah was born and raised in Ontario, Canada and always knew she needed to be creative. Sarah studied film, design, photography, and writing throughout high school and then moved on to start her Bachelor's Degree in Digital Communications in Toronto. Her plans started to change when she met her British fiancée, visited England, studied here briefly, and decided this is where she wanted to be. With experience working with social media, videography, and photography, along with a desire to learn more and start a career in the digital world, Sarah was excited to join t&s. My day is usually split up between monitoring social media interactions, writing content for websites or social accounts, planning and setting up social media campaigns, and anything else digital that has been passed our way. I love to keep everything organised and perfectly in its place. I'm always looking at the details in everything I do, to make sure nothing has been missed and everything is the best it can possibly be. I’m an introvert that loves to spend my time listening to a good podcast, playing music, going for a nice walk, playing video games, or anything creative. Danni studied for her Sociology and Criminology degree in Cardiff. Following her graduation, she worked within a busy marketing department for an automotive group for over 6 years after falling into the world of marketing! Danni joined t&s to experience the fast-paced agency side of marketing, and to get a bit more hands-on with the creative side of life. I help look after multiple accounts across the agency and this will include anything from taking new briefs to writing content, to helping the creative team to understand a client's objectives from a campaign. I'm very organised. I love to make a list, and have a list for almost anything and everything. I'm a fan of rubbish TV (Towie and Love Island are a couple of my favourites). I enjoy festivals, but not the camping bit! I've been to Glastonbury five times. However, i'm a classic middle child - sarcastic and love a bit of banter. Always hungry or thinking of my next meal. Michael's always been interested in IT, pursuing it in his GCSEs and A-levels, he's now a student at Solent University studying Web Design and Development. Michael came to t&s as a student looking for a company to work for as part of a year long industry placement. We're hoping that t&s will play its part in helping to prepare him for his final year of university! I develop websites! This includes maintaining websites, finding solutions to problems and bugging third parties regarding glitches in their plug-ins! Web Development. I really enjoy solving problems and finding new ways to develop websites and functionality which suits the client's objectives and makes the user journey 100% more enjoyable. I like learning useless, but interesting knowledge. I also love to challenge the t&s team with my daily Mensa challenges! Making content with a creative edge. James is a producer with a creative flair - he's studied Film Production, worked in Berlin, and travelled across the UK doing adventure-travel media. He was drawn to t&s because of their setup as a creative and digital agency, with a great rapport amongst the team. I help manage and produce digital campaigns across a range of clients. This could be anything from product launches on a website, to social advertising imagery and proposals, I help to make sure everything happens according to a client's vision and delivers on their objectives. Approaching challenges with a creative mindset and background - whether that's telling a particular story, or helping develop visual assets hands-on, I really believe that having those skills makes all the difference in the fast-paced digital industry. I'm a surf and ocean lover - so whenever I'm not getting out there, I'm usually watching Nat Geo documentaries! I also play guitar and sing for friends and benefit gigs. 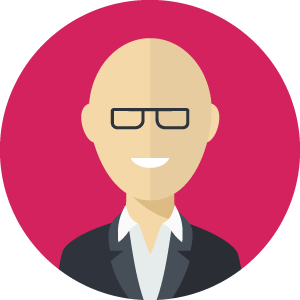 Neil started in the advertising industry in 1989, working for a number of agencies gaining extensive experience in Consumer and Business to Business Marketing, including considerable knowledge of the Automotive Sector. He spent eight years at EuroRSCG Riley in Bristol, working through the ranks to Divisional Director responsible for Consumer Advertising and Education Marketing. Neil was one on the founding Directors of Sedgley Belbin Wright between 2004 and 2008, before taking a two year sabbatical from the industry to develop his property business. Neil was lured back by the bright lights of advertising as a co-founder of t&s in 2011. Neil is responsible for the business development and growth, by exploring new business opportunities and best work practices to bring added value to both the agency and clients alike. I’m the one with the broadest job roles but with least deadlines. My typical day ranges from sitting in on client and creative briefings, writing copy, driving new leads, attending new business meetings. Oh and making the 3 o’clock round. I'm asked to come up with a 'clever Neil headline' mostly. Playing devil’s advocate to understand what clients want and need. Not always the same! Apart from the obvious of family priorities and striving for world peace, I’m most consumed by football and music. Their order, and indeed my general outlook, is dependent on how the Baggies did at the weekend.